Samsung has been trying to build an ecosystem of connected devices on top of its IoT system for sometime. The Korean giant has already connected its smartphones, televisions and other large appliances to a single system and now, a new patent suggests its ambitions might stretch beyond consumer electronics. Samsung might be planning to make its own line of smart running shoes integrated with sensors and a smartphone app to configure activities. This could be part of Samsung’s expanded efforts to make more smart accessories and enter into apparel side of smart connected devices. Samsung first showcased SmartSuit, which was targeted at athletes and was supposed to help them train for the Winter Olympics. Its spinoff launched Iofit shoes on Kickstarter two years ago and those were aimed at golf players. 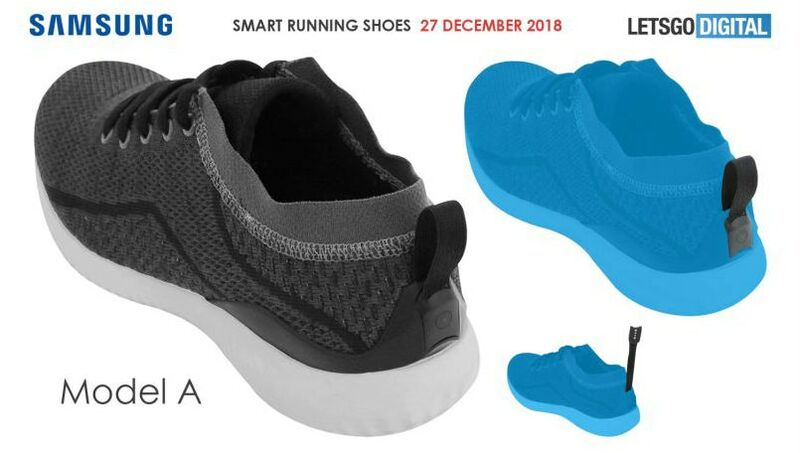 There is a possibility that these new patents for running shoes hint at a more mainstream training shoes aimed at casual users and not limited to professional runners or athletes. The patent does not giveaway a lot of information about the shoes when it comes to smart aspect of it. 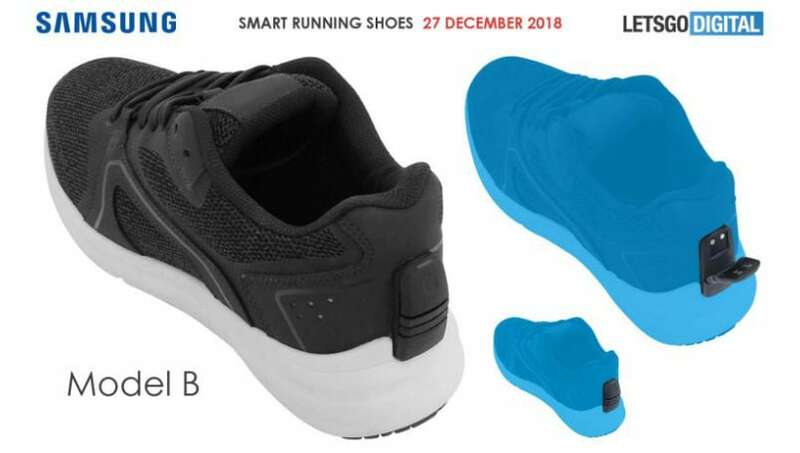 The patent, spotted by LetsGoDigital, suggests that sensors will be placed inside the shoes and can be activated in one of two ways. One method involves pulling the tab on the back of the shoe while the second involves a mechanism with buttons hidden behind a cover, which could again be on the back of the device. The big missing piece is how smart these shoes will be and what kind of activities will they be capable of tracking. Samsung would only need a pedometer and tracking sensors to count steps taken with the shoe. However, there are shoes that can measure pressure to understand whether you are running the right way or if you are prone to injure yourself. The company could also use a companion app to help users configure training exercises depending on their performance. Will the shoe support Bixbyfor voice actions? That is another possibility but the patent listing does not show any signs of Samsung’s digital assistant.